LTE World Summit was a great success and we would like to thank everyone that attended. This post is by Francesco Radicati, Research Analyst with Informa Telecoms & Media, He is part of the Europe team, focusing on the key markets of Germany, the UK and the Netherlands, as well as Sweden and Denmark. CTOs of leading mobile operators expect to be promoting a “5G” network within five years, and to be partnering with OTT and content providers even sooner. Speaking at the LTE World Summit in Amsterdam, the CTOs of four top-tier mobile operators discussed the future of LTE networks and beyond, as well as the challenges facing operators as network capacity increases and user demand for data grows. However, while the operators expect to be promoting 5G in the next few years, they were divided on the questions of whether their backhaul networks were ready for 5G, and on whether LTE-Advanced will present a significant boost in user experience compared to LTE. One of the most interesting points to emerge from the session was that the operators mostly didn’t expect to turn off their 2G networks within the next five years. 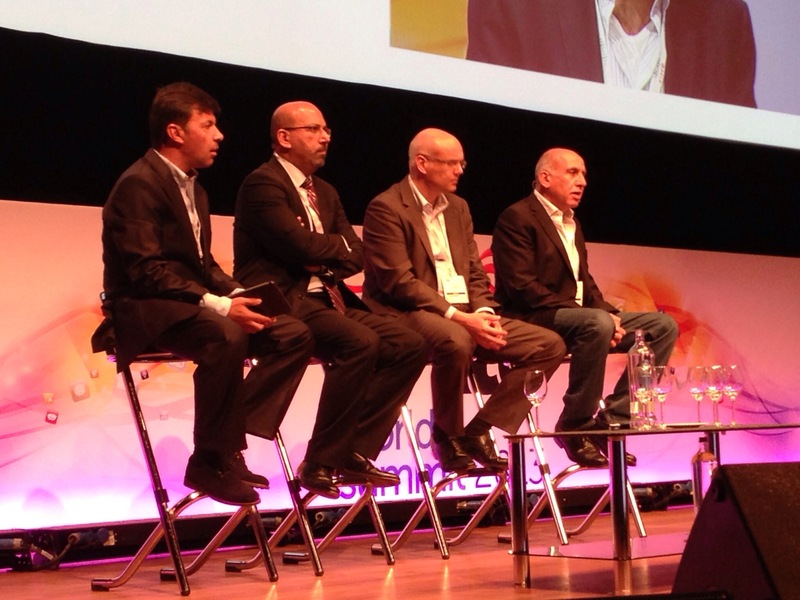 The CTO of a Tier 1 player from the Middle East was the only panellist who said unequivocally that he expected 2G would be switched off – the others noted that while they would be actively moving customers onto the 3G and 4G networks, the 2G network would still be needed for roaming and voice customers in the long term. On the subject of partnerships with OTT players and content providers, the panellists agreed that MNOs would have to work with the likes of Google to remain a part of the value chain. However, they had differing opinions on what the best tactics were – one panellist from Malaysia, for example, stressed that for the more mature parts of the business, where customers have had access to mobile networks for a long time, the operators need to partner with content providers. He also noted that customers are increasingly coming to the internet for the first time using mobile products, presenting an opportunity for MNOs to create their own digital brands to distribute content similar to Netflix. On the other hand, a speaker based in southern Africa questioned whether operators should really be producing content themselves, arguing that it is outside of their expertise. Yet he acknowledged that the content exists and users will access it, regardless of whether doing so takes revenue from operators. The key issue, for him, is the difficulty for smaller operators in negotiating with a company like Google, although he said operators have an opportunity to make deals with newer, smaller OTT players, bringing them into the value chain rather than attempting to compete with them. Finally, the panellists were divided on whether LTE-Advanced would significantly boost user experience, compared to LTE. A CTO from a Netherlands-based operator questioned what benefits 5G could offer over 4G, beyond faster download and upload speeds. On the other hand, one of his fellow speakers pointed out that traffic will continue to increase, meaning that networks that don’t introduce LTE-A will lose out. For an industry that can sometimes focus on the doom and gloom of issues such as lost revenue streams, the opening keynote of Day Two of the LTE World Summit 2013, from Alain Maloberti, senior vice president, network architecture & design, Orange, France, had a almost wholly positive vibe to it. The core takeaway was that LTE had, in the main, lived up to its expectations. It has been widely deployed; it offers real, tangible performance benefits and customers want it. As they say on the street, that’s a win. Naturally Maloberti picked out some issues – roaming, spectrum fragmentation, interference with TV and the need for SRVCC for VoLTE, but as he pointed out all these are being addressed. Following Maloberti, Samsung’s marketing director of European networks, Mark Thompson opened his speech with the quote from science-fiction writer Robert Heinlein who said that, “one man’s magic is another man’s engineering.” The implication was that Samsung’s network is ‘magical’, but his call for the creation of ‘smart networks’ comes as a welcome change from the normal industry call to avoid the baseness of becoming a mere ‘dumb pipe’. He also pointed out that Korea’s unassailable LTE technology lead ahead of Europe was actually a good thing. It serves as a tech testing ground, so if it all goes horribly wrong over there we won’t make the same mistakes. It’s not going horribly wrong of course, and Korea is miles ahead. 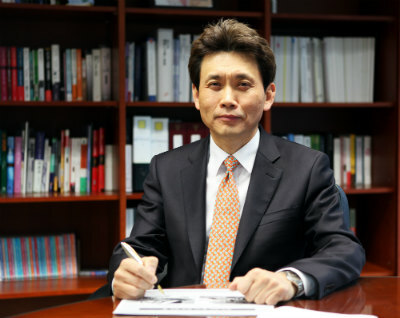 To prove the point, the vice president of the network technology unit of Korea Telecom, Mr. Chang-Seok Seo, came on to go describe that carrier’s network in some detail. Carrier aggregation, heterogeneous networks, commercial femtocells, and 1000 cell virtualisation are all part of the mix. Point certainly made then. Huawei’s Ying Weimin, president of GSM/UMTS/LTE then brought us down to earth with his assessment that, “the dream [of ubiquitous capacity] is nearly here, but performance at the cell edge is still not good enough [for video uploads]. The solution? LTE-A. It will provide 10x better performance at the cell edge, and plans are afoot for LTE-B. The keynote sessions finished off with a traditional panel discussion with questions being fired at the panel consisting of Frank Meywerk, CTIO, T-Mobile, Netherlands; Marwan Zawaydeh, CTIO, Etisalat, UAE; Suresh Sidhu, CCOO, Celcom Axiata, Malaysia, and Miguel Geraldes, CEO, MTC, Namibia. The question highlights included, “Are you planning on turning off your 2G network?” The responses were all “no”, except for Etisalat’s Zawaydeh, who can’t seem to wait to get rid of 2G. on order to reduce cost and complexity on the network. Do you expect LTE-Advanced to offer an improved experience for consumers? Two yeses, but surprisingly two said no. The reveal? LTE-A will help operators due to the cost savings gleaned from greater efficiencies of spectrum use, but Meywerk claimed that above 6Mbps consumers don’t notice the extra speed, and as such LTE-A will not bring an appreciably faster experience for 98 per cent of users. The third highlight for me as, “Do you expect to be ready to promote your network as 5G ready in the next five years?” After the first person along the line said yes, like dominoes falling into line, the rest felt obliged to say the same – marketing madness kicking in in an instant. Here’s we go again…. Panel session with Miguel Geraldes, CEO, MTC, Namibia; Suresh Sidhu, CCOO, Celcom Axiata, Malaysia; Frank Meywerk, CTIO, T-Mobile, Netherlands and Marwan Zawaydeh, CTIO, Etisalat, UAE. Other impressions I gleaned from those I spoke to was that the show was both broader, with topics such as public safety and 5G on the agenda, and deeper, with a great number of detailed and focused tracks. The numbers also backed up the sense of improvement, with a 30 per cent increase in attendees over the previous year. There’s no doubt that this year’s event was a wild success, with a raft of interesting speakers, broaching new topics of interest and everyone who attended came away educated and enlightened, if a little tired! See you back next year for another successful LTE World Summit! For those who can make it, the next event in the series is the groundbreaking LTE Africa conference, taking place on the 9th-10th July 2013 in Cape Town, South Africa. Click here to download the brochure for the event. Ladies and gentlemen, its time to revamp your engines! Are your traditional tools hindering your ability to grow in the telecom industry? Ask yourself this, are your vendors meeting your criteria with the evolving needs of this Big Data world? There are solutions out there that are already addressing the pains associated with Big Data. We believe you need to demand, embrace, and seek this new innovation! Don’t fall victim to being stuck in the now, focus on the new paradigm and future of the telecom industry. Big Data in telecom should not be a nightmare. It’s an opportunity! 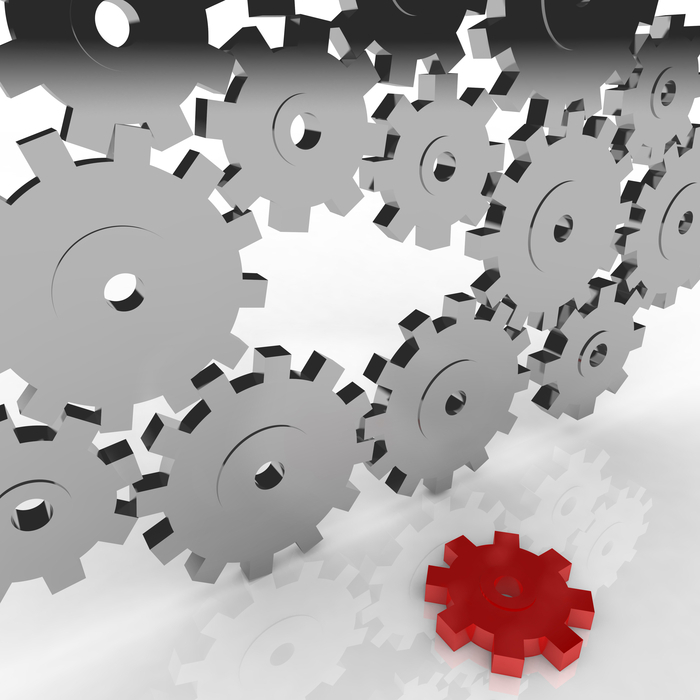 For any type of industry, the need for growth and evolution is embraced and expected. Learn how you can embrace a new paradigm and gear up to capture and manage this new, real-time opportunity. It is universally understood that the nature of the mobile world today is far unsurpassed than what anyone had originally anticipated. Smart devices are released, revamped, and released again all while the OTT providers are quietly and quickly entering the market with their fast attention, adoption, market share, agility, customer focus, and degree of innovation; Smart devices are a vital part of daily life. With rapid growth, comes a bottleneck situation, which we all know as the Big Data problem. Issues have risen such as: declining revenues, increasing churn, customer dissatisfaction, and a need for future consolidation. If you sit back and wait, the evolving technologies will surpass you, and there will be no opportunity for a comeback. Room for improvement lies within increased innovation and customer experience all while drastically reducing the cost. The leading CSPs have already realised what lies ahead and have begun investing in and adapting to the growing technology of LTE, SON, SDN, CEM, policy management, and more. These enabling technologies will unquestionably deliver significant benefits and facilitate a whole new set of opportunities. LTE in particular has a major discontinuity and a departure from the traditional way of doing things. LTE drives telecom to merge with IT and as a result, IT principles start to be applied to telecom. Truth be told, CSPs have at best, barely scratched the surface of the full potential of these enabling technologies. The question is ‘why’. What impedes this? The vast majority recognise the challenge, but steer towards business as usual because vendors are not providing alternative paths. There needs to be a fundamental shift of the current culture of CSPs. We believe that CSPs need to develop the ability to gain access to actionable insights in true real-time, at a much lower cost, more easily, and in a way that leverages the broad variety and increasing amount of continuously-changing data that they have available. As L. Gordon Crovitz said in a recent Wall Street Journal article in reference to Big Data, “society will need to shed some of its obsessions for causality in exchange for simple correlation: not knowing why but only what.” In other words, it’s less about explaining the science behind the observed data, it’s about quickly identifying patterns and events that, statistically, are significantly relevant. To combat the Big Data issue, having both the “why” and the “what” is necessary in order to quickly adapt to and benefit from the innovation and convergence of LTE, SDN, SON, and policy management. In this new, real-time Big Data world, intelligence becomes history within seconds and history is practically irrelevant. The ability to “see” and “understand” what happens “now” becomes paramount. There are vendors, such as Trendium, that are ready to enable the transformation of these new innovations for CSPs. Together, we have the potential to create scalable, efficient, real time intelligence for Customer Experience Assurance and Asset Monetisation. CSPs that have, rightfully so, identified customer experience assurance and asset monetisation as their top priorities, need to know that in this new Big Data world it is possible, financially and technically, to gain real-time access to actionable intelligence and insights about network, services, and customers, in a way that is scalable, improves productivity, and with a fraction of the complexity, footprint, and cost of traditional solutions. Byambaa Davaakhuu, CEO, Ulusnet, Mongolia is discussing the challenges of migrating from WiMAX to LTE on Day Two of the LTE World Summit taking place on 24th-26th June at the Rai, Amsterdam, The Netherlands. 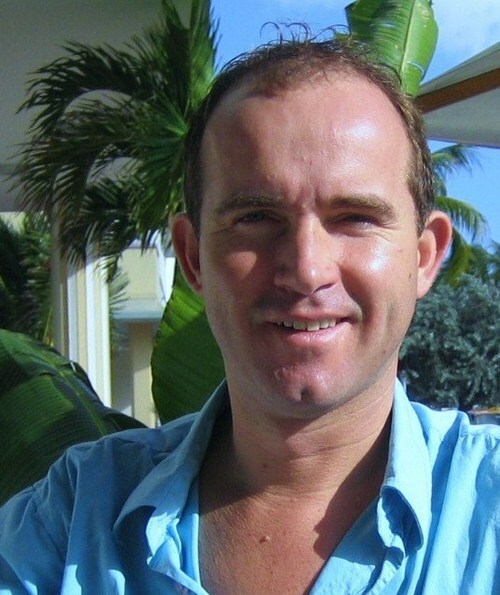 Ahead of the show we speak to him about what Ulusnet is working on with regard to LTE. Please give me an update on where you are with your plans to move from WiMAX to LTE. We are currently at the vendor selection part of the process and technically we are working on RF spectrum relocation. The co-existence of WiMAX and TD-LTE subscribers is going to be a challenge for us and we want to be sure to get it right. How does your background in WiMAX affect your spectrum choices for LTE? As a WiMAX operator we have 20Mhz at 2.5GHz and 50MHz at 3.5GHz, so we are well served there. The government not yet made a decision regarding the use of FDD LTE spectrum but probably 1800MHz will be assigned. What impact do you think moving from WiMAX to LTE will have on your backhaul infrastructure? As a subsidiary of a cellular operator the majority of sites have optical transmission for backhaul, which gives us great advantage on the market. What do you think will be the most exciting development in LTE in 2013? The most exciting developments will be the development of the eco-system for TD-LTE and use increased data throughput the use of LTE will bring. Why is the LTE World Summit an important event for you to attend? This event gives us a unique opportunity to see where the telecoms world is moving to and that’s why we need to be there. Erik Vercouteren, program director LTE Program, KPN, Netherlands is speaking as part of the LTE MasterClass on Day One of the LTE World Summit, the premier 4G event for the telecoms industry, taking place on the 24th-26th June 2013, at the Amsterdam RAI, Netherlands. Ahead of the show we speak to him about KPN’s LTE roll-out strategy in the Netherlands. What are the chief challenges you are facing as you roll out LTE? Rolling out 4G in a densely-populated country like The Netherlands is a challenge, as it is a complex exercise to align building permits, transmission upgrades, antenna swaps and hardware replacements. But we are doing very well, I must say – reaching up to 50 per cent population coverage in about five months. What’s your strategy around pricing LTE and why have you made those choices? We have launched 4G as an integrated part of our portfolio, so there’s no ‘premium’ for LTE itself. Initially, we introduced 4G on the larger data bundles and as of the 1st of July, we will integrate 4G into all data bundles in our new “all-in-one” line-up. We believe that 4G is a major improvement to the user experience on mobile data and want to make this available to all our customers as soon as possible. Yes, we launched in urban areas covering Amsterdam, The Hague, Rotterdam and Utrecht as soon as possible. But we also cover all the smaller cities and towns in between – and will cover rural areas as we continue our roll-out through the rest of the year. We believe that 4G should be available everywhere – that’s why we roll the 4G service out like an “oil stain” covering the entire country, rather than building coverage in busy hot spots only. If you really want to enjoy the benefits of 4G, it should be available in the entire country – in urban and rural areas! How optimistic are you about the impact that RCS services might have for your customers? We are closely following this to see how this could be of additional value to our customers. But our priority at this moment is to build nation-wide coverage on 4G in The Netherlands. 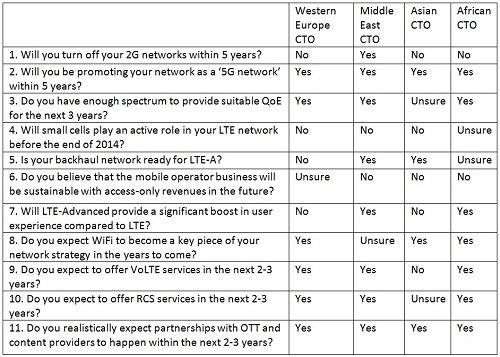 What do you think will be the most exciting new development in LTE in 2013? The experiences with the first VoLTE implementations will be very exciting. And we are very interested in the possibilities that will become available with e-MBMS or LTE Broadcast. 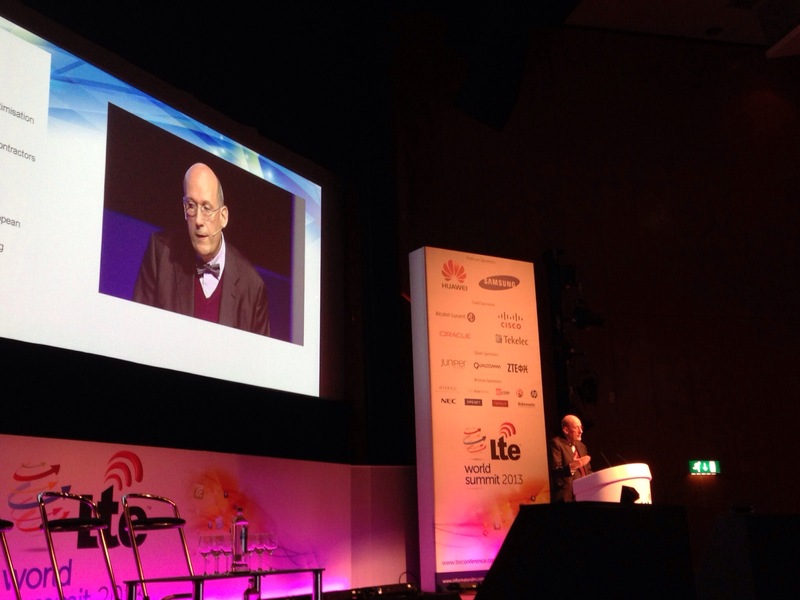 Why is the LTE World Summit such an important event to attend? This is the event to meet up with professionals that are working on LTE worldwide and the place to share experiences and learn from each other. KPN is again very proud to host the LTE World Summit in the capital of The Netherlands, the beautiful city of Amsterdam. And especially since this is the city where we launched our 4G services earlier this year!